The Democrats are trying out new campaign slogans, and all of them should leave progressives deeply worried. The Democratic Congressional Campaign Committee (DCCC) recently sent out a series of proposed bumper stickers, asking party members to vote on which they liked best. 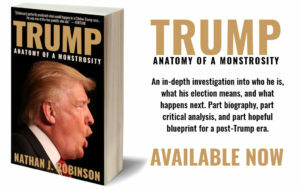 The four possibilities included: “Resist, Persist,” “She Persisted, We Resisted,” “Make Congress Blue Again,” and, most tellingly of all, “Democrats 2018: I Mean, Have You Seen the Other Guys?” Many of those on the party’s left have long been concerned that contemporary Democrats don’t seem to actually stand for anything beyond “not being Republicans.” The bumper stickers seem to confirm exactly that. The bumper stickers are the absurd logical endpoint of this approach. Note that they do not imply anything about what the Democrats’ actual values are. It’s not “Democrats: Fighting For a Humane and Decent World,” or “Democrats: Because Your Health and Happiness Matter.” It’s just “Democrats: We’re Not Them,” a statement that is totally empty of meaning. (It is, after all, true by definition that Democrats are not Republicans.) The differences between the parties are reduced to the fact that one of them is the Red Team and the other is the Blue Team. This kind of focus, on why Democrats aren’t Republicans rather than what Democrats actually are, is a strategic disaster. Hillary Clinton lost, Jon Ossoff lost, and since 2010 Democrats have been losing catastrophically at every level of government. Formerly safe blue states now have Republican governors, and in red states Democratic opposition has collapsed completely. Worse, there seems to be almost no recognition in the party leadership that there is even a problem: Nancy Pelosi has flatly rejected the idea that the party needs to change, and if the new bumper stickers are any measure of what the DCCC is planning for 2018, the party’s messaging is only going to get worse rather than better. At first, it’s difficult to see why Democrats are incapable of offering voters anything substantive. 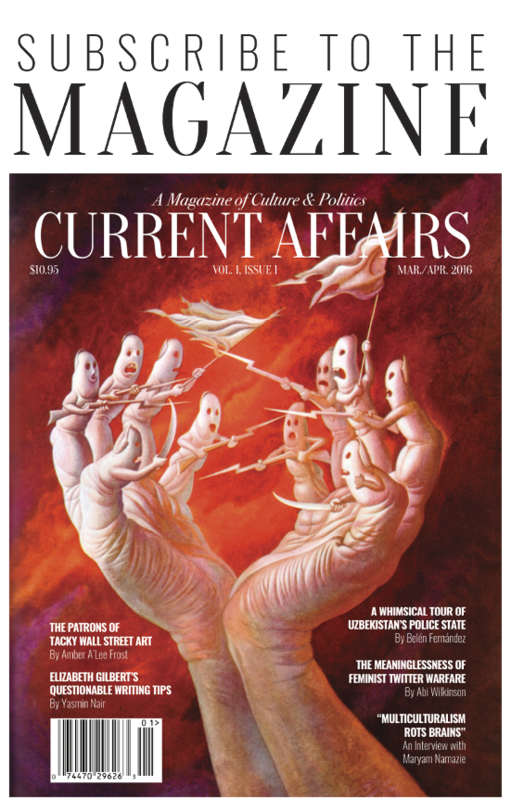 After all, this doesn’t seem to be an inherent “left versus liberal” or “Sanders versus Clinton” problem; it’s less that the party needs to “move toward the left” than that it needs to “move toward something,” and you can certainly have an agenda without it being a particularly progressive one. But this philosophy is a dead end. For one thing, it doesn’t work. Unless you have Bill Clinton’s special charismatic magic, what actually happens is that progressive voters just stay home, disgusted at the failure of both parties to actually try to improve the country. And the mythical “moderate Republicans” never seem to show up. (This is because there are no actual moderate Republicans.) And it’s not just electorally unwise: it also gives up on the idea of actually changing anything, with the only goal of politics being to attain political office. It precludes the possibility of ever taking serious action on healthcare, the environment, nuclear arms, housing, or any of the million other issues that require urgent and serious action. 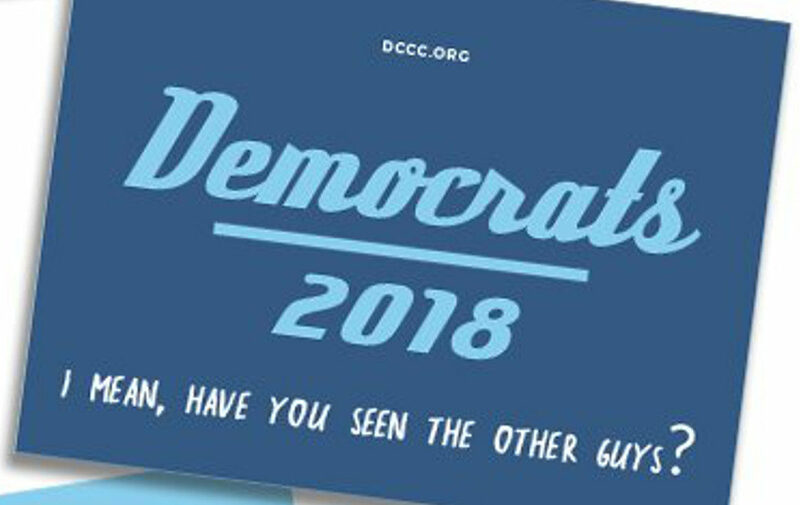 The DCCC’s new bumper stickers show a party doubling down on a losing strategy. The party no longer has anything to offer voters. Until that changes, voters will continue to respond in kind, by being as enthusiastic about helping the party as the party is about helping them: not at all.